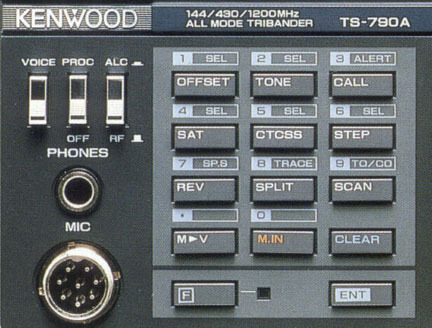 Kenwood TS-790 is a combination of three high-performance all-mode transceivers rolled into one! 2 meters and 70 cm are built-in and with the addition of the optional UT-10 module, adding 1200 MHz; you have the ultimate in a VHF / UHF communications. 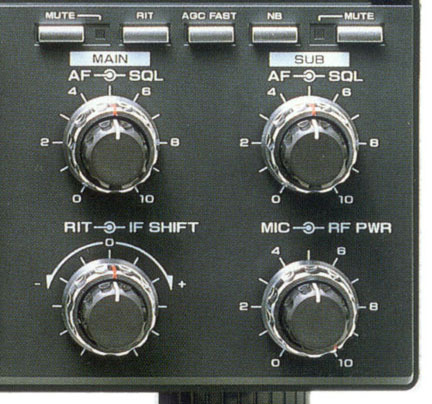 Modes of operation include USB, LSB, CW and FM. 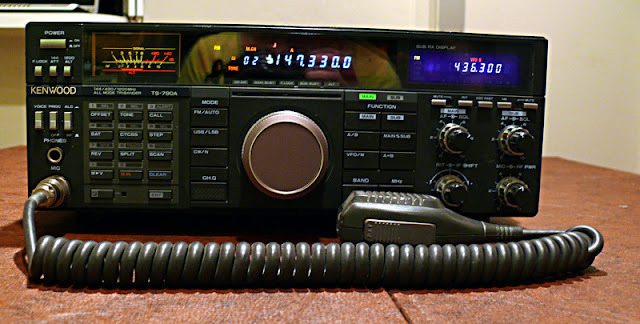 Power on 2 meters is 45 watts on FM or 35 watts on SSB. Power on 440 is 40 watts FM / 30 watts SSB. The TS-790A is the ideal radio for the serious satellite, moonbounce or grid square DX operator. Uplink and downlink communications can be shifted simultaneously to compensate for the Doppler shift. There are dual digital VFOs for each band. Other enhancements include: Keypad entry, 59 memories, dual frequency display, RIT, IF Shift and Speech Processor. Requires 12 VDC at 15 Amps. With hand mic. 13 x 4.72 x 13 inches 20.3 lbs. (330x120x330 mm 9.2 kg).